How to Make a Graham Cracker Crust | I Wanna Bake! When I started planning this week’s bakeventure (check back on Friday to sate your curiosity on that matter), I was surprised to see that I hadn’t written a tutorial on graham cracker crusts yet. Today, I intend to remedy that. Graham cracker crust is the easiest type of pie crust I can think of to make. Mine only uses three main ingredients: graham crackers, butter, and sugar. You can add in any dry spices or grated citrus zest you like to customize the crust to your intended pie filling, and you can use just about any hard, non-filled cookie of your choice in place of the graham crackers. I’ve used chocolate Teddy Grahams, ginger snaps, Nilla Wafers, and (as in today’s incarnation) pizzelle, to name a few. Speculoos, shortbread, and biscotti would also work nicely. You could also replace some of the cookie crumbs with ground up nuts. A food processor makes grinding up the graham crackers/cookies take just about no time and no effort, but if you don’t have one or just don’t want to clean the pieces afterwards, you will be able to do this easily enough with some resealable plastic bags and a blunt object (I usually use a rolling pin). Double bag the crackers and pound away until they are nicely pulverized, then proceed as directed. Seriously, easy. You’ll never need to buy a pre-made graham cracker crust again! Before you start, preheat your oven to 350°F. 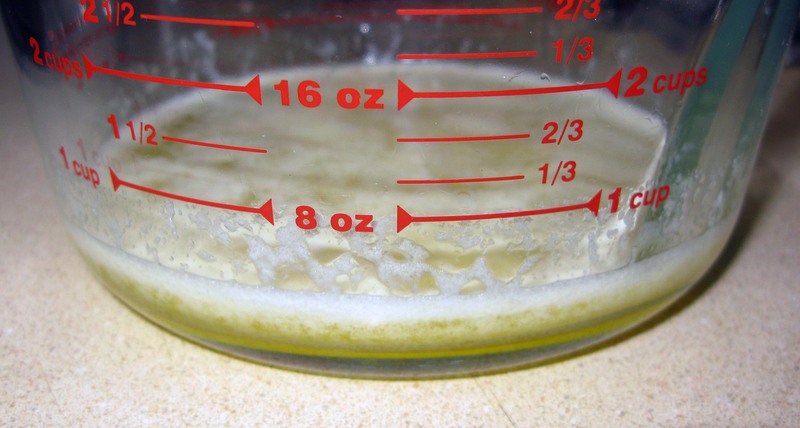 Place the butter in a glass bowl or measuring cup (I use this one) and melt it in the microwave. This usually takes about 1 minute for me, but this will vary based on the power of your microwave and the softness of your butter. To be on the safe side, start with 30 seconds and add time from there as needed. Alternatively, you can melt the butter on the stove and pour it into the metal or glass mixing bowl of choice. 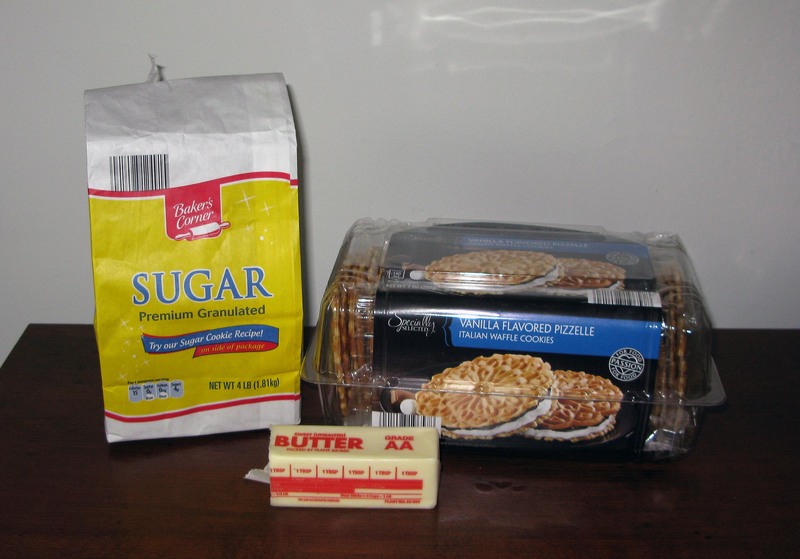 Set the butter aside to cool slightly while you pulverize your graham crackers or cookies. Break the graham crackers or cookies up with your hands and put the pieces in a food processor. Pulse until the crumbs look like fine sand, with no big chunks. Pour the cookie crumbs and sugar into the melted butter and stir until the mixture looks uniform and holds together when pressed against the side of the bowl. Dump the crust mixture into a 9″ pie plate or springform pan and push it around so that it’s (roughly) evenly distributed. If available, use a second 9″ pie plate (or cake pan if using a springform) to press the crust down. If you don’t have one, you can use the bottom of a measuring cup, or just carefully pack the crust down on the bottom and up the sides of the pie plate with your hands. Try to make it as even as possibly so that it bakes uniformly. All formed and ready to bake! Bake the crust for about 10 minutes, or until it begins to harden and the edges look slightly browned. That’s all there is to it. From here, you can fill the crust however you like, following the instructions of your chosen recipe, or you can leave the crust to cool and keep it at room temperature, covered, for a few days. Now go forth and make some pies! Pingback: Chocolate Chip Cannoli Pie | I Wanna Bake! Pingback: Eggnog Pie | I Wanna Bake!